Antimatter sounds like something cooked up for a science fiction story, but it is as real as you are. Matter is built up of protons, electrons, and neutrons, each of which has a mass and a charge (either positive, negative, or neutral). Antimatter particles look almost like their matter twins: They have the same masses, but they have opposite charges. For example, the electron has a negative electric charge, and the positron (an antielectron) has a positive charge. An antiproton is a negatively charged proton. Antimatter particles such as antiprotons and positrons can get together to form antiatoms the same way protons and electrons form atoms. However, most of what we see in the universe is made of matter rather than antimatter. 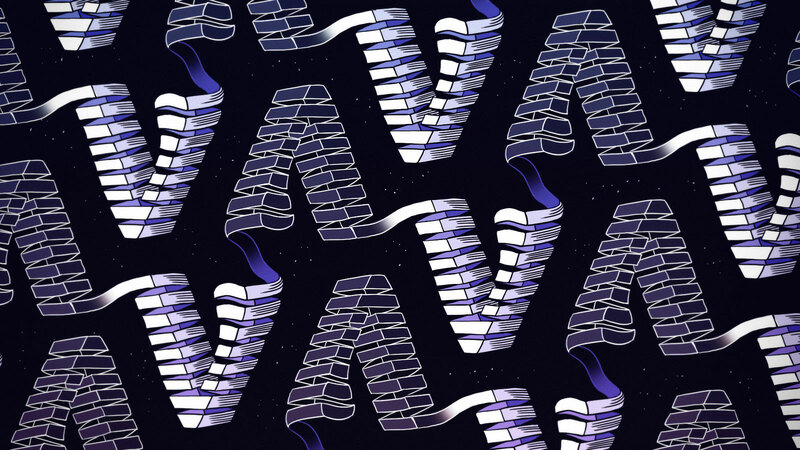 Scientists aren’t sure where all of the antimatter is, but hope experiments like the Deep Underground Neutrino Experiment will shed light on this issue in the near future. It is also possible to create antiatoms in a laboratory and study them, though this is very difficult to do. When matter and antimatter meet, they annihilate in a fiery burst of light. An antineutrino is thus simply an “opposite version” of a neutrino. But if one of the main ways matter and antimatter are opposites is charge, then what does it mean that neutrinos are neutral? Does that mean neutrinos and antineutrinos are the same thing, only differing in the particles (positrons or electrons) produced along with them? Scientists aren’t sure. There are many experiments under way or proposed to discover whether that’s the case. For now, scientists think of the three neutrinos (electron, muon, and tau neutrinos) and the three antineutrinos (electron, muon, and tau antineutrinos) as distinct particles. Scientists are interested in antineutrinos for both practical and theoretical reasons. On the practical side, antineutrinos are produced in prodigious amounts in nuclear reactors, and these antineutrinos can be used to precisely monitor the reactor core. On the other hand, scientists want to study antineutrino oscillations and find out if neutrinos and their antimatter siblings behave in unexpectedly different ways. An antineutrino is the antiparticle partner of the neutrino, meaning that the antineutrino has the same mass but opposite “charge” of the neutrino. Although neutrinos are electromagnetically neutral (they have no electric charge and no magnetic moment), they may carry another kind of charge: lepton number. These are defining features that can distinguish a particle from an antiparticle (along with properties such as helicity). Family lepton numbers are assigned to the three families of leptons, which are easily remembered by their flavors. The electron and electron neutrino (and their antiparticles) are one set, the muon and muon neutrino are another, and the tau and tau neutrino make up the third. In the electron flavor, lepton number is described in terms of electron number; electrons and electron neutrinos get a value of 1, positrons and electron antineutrinos get a value of -1, and all the other leptons (associated with muons or taus) have a value of 0, because they have no electron flavor. The same happens in the muon flavor with a muon number: muons and muon neutrinos have the number 1, their antiparticles are -1, and everything else has a muon number of 0. Apply the same pattern for tau and the tau neutrino! Scientists consider the total lepton number to be conserved if the summed family lepton flavor numbers before a reaction remain unchanged after a reaction. It’s a method of balancing the equations describing the reactions, and it’s a good predictor of whether scientists should expect a certain process to occur. So far, scientists have not observed violation of total lepton number conservation: they always see the appropriate numbers and types of neutrinos and antineutrinos being produced via the weak interaction. 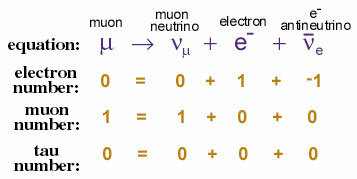 However, if neutrinos and antineutrinos are actually the same particle, the lepton number would not be conserved. Neutrinos may not have revealed the full story yet. The fact that neutrinos oscillate from one flavor to another implies that family lepton flavor is not conserved. And if, for example, neutrinos and antineutrinos oscillate from one flavor to another at different rates, this would imply a violation of the so called charge-parity (CP) symmetry. That would be particularly exciting, because CP symmetry violation is a necessary requirement for going from a “neutral” universe (equal parts of matter and antimatter) to the matter-dominated universe we live in. This remains one of the greatest puzzles that particle physicists are trying to unravel.